ActiveCampaign vs MailChimp: 2018 DISCOUNT!!! 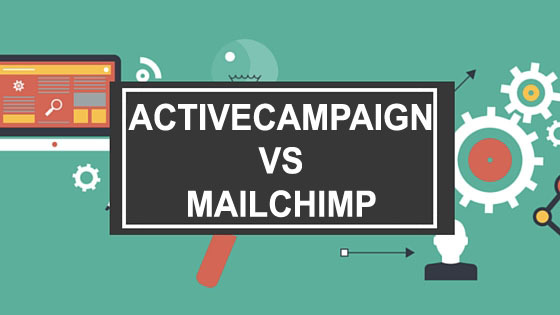 ActiveCampaign vs MailChimp Comparison: Which One Is Right For You? ActiveCampaign is a powerful toolkit that combines marketing automation with sales, making it an amazing tool for small and mid-sized businesses with sales and marketing departments. MailChimp, on the other hand, is an old-school email marketing platform that feels a little dinky and out of date these days, but can still be good if you have a low budget. These days, it’s extremely easy to find email marketing and marketing automation software. What’s far more difficult is finding email marketing software that actually does what you want it to do. From unnecessary features and complicated UIs to high price tags, most email software comes with a catch. Two of the most popular email marketing platforms on the market today are ActiveCampaign and MailChimp. If you’re a serious email marketer, you should get ActiveCampaign. It’s by far the better tool in nearly every way. This is especially true if you run a B2B business. Since ActiveCampaign includes a built-in CRM, it’s the ideal marketing automation software for B2B companies. The only situation in which it makes sense to get MailChimp is if you have a very limited budget and want a tool that’s cheap and simple. MailChimp is very difficult to beat on price, even if its features aren’t the best. Below, I’ve compared ActiveCampaign and MailChimp on a variety of features, from opt-in forms and landing pages to email templates, marketing automation and more. I’ve also listed the price of each tool to help you compare the two on value for money. If you know you either want ActiveCampaign or MailChimp but aren’t sure which to buy, make sure you keep reading. Which Software Has the Best Features? ActiveCampaign and MailChimp might do the same things, but they feel very different when it comes to features. Simply put, ActiveCampaign does everything MailChimp does, usually quite a lot better, with a few minor exceptions. Let’s start by looking at opt-in forms and landing pages — two important features for email list building. Opt-in Forms & Landing Pages: Which Application Wins? Winner: ActiveCampaign, which has better looking, more modern opt-in forms. ActiveCampaign has a powerful form builder that makes it easy to add opt-in forms to your blog or website. Creating opt-in forms in ActiveCampaign is simple. There’s a big, obvious “Forms” link in the top navigation bar, letting you click directly through to the form builder. From here, creating an opt-in form is as simple as entering a name and choosing a desired action and email list. Inline forms, which sit inside content and let users opt in while reading your articles and blog posts. Floating bar forms, which sit at the top of the browser window and stay in place as users scroll down the page, letting you add email subscribers passively. Modal pop-up forms, which pop up when users visit your website or after a certain amount of time, letting you add email subscribers from search traffic. Floating box forms, which stick to the lower right corner of the browser window and give users a chance to opt in as they read. The forms included with ActiveCampaign are customizable, responsive and look great at any screen resolution and on any device. One thing to note is that the Lite ActiveCampaign plan only lets you create inline forms, which is a slight annoyance from a list building perspective. All other plans feature all form styles. The biggest downside of ActiveCampaign is that it doesn’t include a landing page builder. This means you’ll either need to design your landing pages manually or use a tool like Instapage or Leadpages, both of which are available as integrations. Like ActiveCampaign, MailChimp includes a form builder that lets you create your own opt-in forms with ease. The form builder gives you lots of control over how your forms look and lets you easily do things like change colors, modify fonts, edit buttons and tweak your forms. The keyword here is “tweak,” since most forms made using MailChimp will retain a noticeable MailChimp-like look no matter how much you modify them. Expect your forms to look a little bit amateur from a design perspective, but still effective at generating email leads. Also like ActiveCampaign, MailChimp includes four different form types. There are class forms, super slim forms, horizontal forms and naked forms, the latter of which are designed to use the same styling rules as the rest of your on-page content. MailChimp also doesn’t include a landing page builder, so you’ll need to integrate with Instapage or Leadpages if you plan on sending traffic to a landing page to build your email list. From a usability perspective, ActiveCampaign and MailChimp’s opt-in forms are equal. From a looks perspective, ActiveCampaign is the clear winner. Since neither application has a landing page builder, there’s no winner for that part of the category. Winner: ActiveCampaign, which is clearly designed with email marketing automation in mind. ActiveCampaign has been designed from the ground up as a marketing automation tool, making it a powerful platform for creating automation rules and running your campaigns. Before I get into ActiveCampaign’s automation features, I’ll cover its use as a conventional email marketing tool. ActiveCampaign includes all of the features you’d expect from an email marketing app. 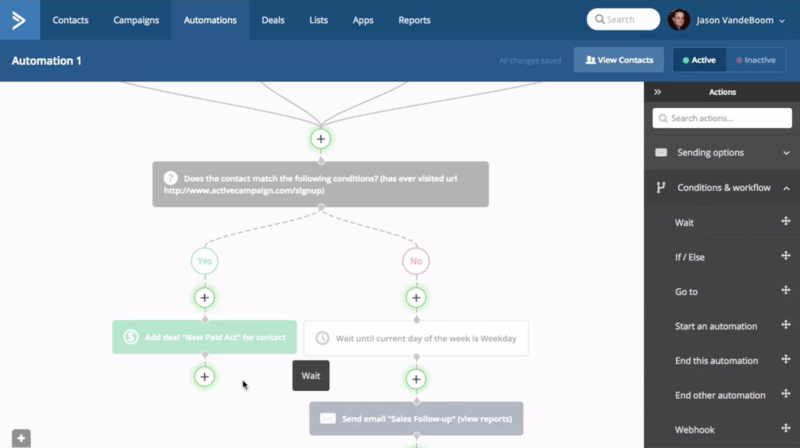 There’s an autoresponder feature to let you automate your email follow-up sequence, email broadcasts for one-off announcements and a drag-and-drop email design interface. There are also numerous free email templates that look good on desktop and mobile, plus extra features like personalization and extensive contact data. ActiveCampaign also has all the usual analytics tools such as geo-location tracking, open rate, clickthrough rate and more. 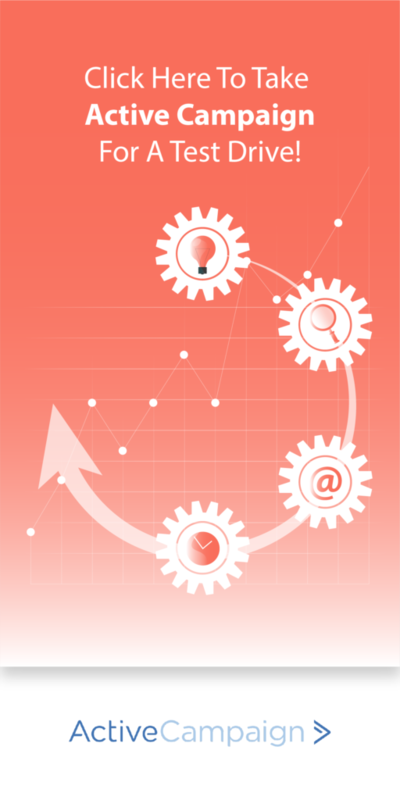 When it comes to marketing automation, ActiveCampaign is even more powerful. It has a simple automation UI that lets you create automation for things like cart recovery emails, post sign-up welcome emails, contact segmentation and more. ActiveCampaign is also pretty easy to use. Even if you’ve never used a marketing automation tool before, you’ll be able to get set up and running in one day or less. If ActiveCampaign is a marketing automation platform that also does regular email marketing, then MailChimp is the opposite — a conventional email marketing platform that also has some marketing automation featured bolted on. For traditional email marketing, MailChimp is reasonably good. It includes features like email broadcasts and autoresponders, letting you create email sequences and let your subscribers know about new announcements when they need to. MailChimp is also great for old school email marketing. Since it comes with a huge range of templates, you can easily create emails that look more polished and corporate. If your boss wants your emails to look a little more flashy and HTML-ified, MailChimp is the tool for you. Interestingly, this usually isn’t good for conversions — sending emails in plain text is normally a more effective strategy. From a marketing automation perspective, MailChimp is good but not great. The automation features are relatively easy to use and let you do things like segment users, send abandoned cart recovery emails and more, but feel a little lightweight compared to ActiveCampaign. Winner: ActiveCampaign, which has a built-in CRM for seamless sales and marketing integration. One final benefit of ActiveCampaign is that it has a built-in CRM, meaning there’s no need for you to integrate with Salesforce, Zoho CRM, Highrise or other CRM tools. The CRM included with ActiveCampaign automatically updates your contacts based on the emails they receive. This is hugely useful for businesses with separate sales and marketing departments, as it eliminates thousands of emails and phone calls every year. MailChimp doesn’t have a built-in CRM, meaning you’ll need to integrate it with another CRM tool if you want to automate certain aspects of your sales and marketing communications. So, Which Tool Wins When it Comes to Features? Overall, ActiveCampaign has the strongest range of features. It feels more robust and powerful than MailChimp. It also feels as it is was designed from the ground up for marketing automation, rather than as an old-school email marketing tool with a few bolted-on extra features. The biggest advantage of ActiveCampaign is its range of features. The marketing automation tools in ActiveCampaign are powerful and reliable, while the built-in CRM makes it a perfect option for small and mid-sized businesses with dedicated sales staff. Although ActiveCampaign isn’t as user-friendly as ConvertKit or Drip, it’s relatively easy to use and shouldn’t take more than one day to learn. ActiveCampaign has all of the conventional email marketing features you’ll need to run a campaign, including email autoresponders and broadcasts. You can send plain text or HTML emails using ActiveCampaign, with an email builder and plenty of templates for you to choose from if you go the HTML route. The ActiveCampaign form options all look great, integrate easily with WordPress and keep their good looks on tablets and smartphones. Most of the marketing automation features included with ActiveCampaign are intuitive and easy to operate, even for people with no programming experience. ActiveCampaign includes a built-in CRM, which is amazingly useful if you need to keep your sales team up to date with your latest email marketing activity. As well as email, you can use ActiveCampaign to automate your SMS marketing and send text messages to your subscribers and customers. ActiveCampaign doesn’t include any landing pages, meaning you’ll need to use a tool like Instapage or Leadpages (integrations are available for both) to create and manage your landing pages. Overall, ActiveCampaign is a solid marketing automation that’s easy to use and includes all of the features you’ll need on a daily basis. The fact that it includes a built-in CRM is a big bonus, especially for B2B companies with internal sales teams. MailChimp’s biggest benefits are its low price and ease of use. If you have a limited budget and want a simple, lightweight email marketing tool that’s designed for sending autoresponders and broadcasts, you’ll probably like MailChimp. MailChimp is an easy platform to use, even for absolute beginners who’ve never used email marketing software before. MailChimp is also available as a free trial, letting you test email marketing with a fairly generous list size before you become a paying customer. Because MailChimp comes with a huge range of email templates, it’s a good option if you want your emails to have a more polished, corporate look and don’t want to send plain text content. 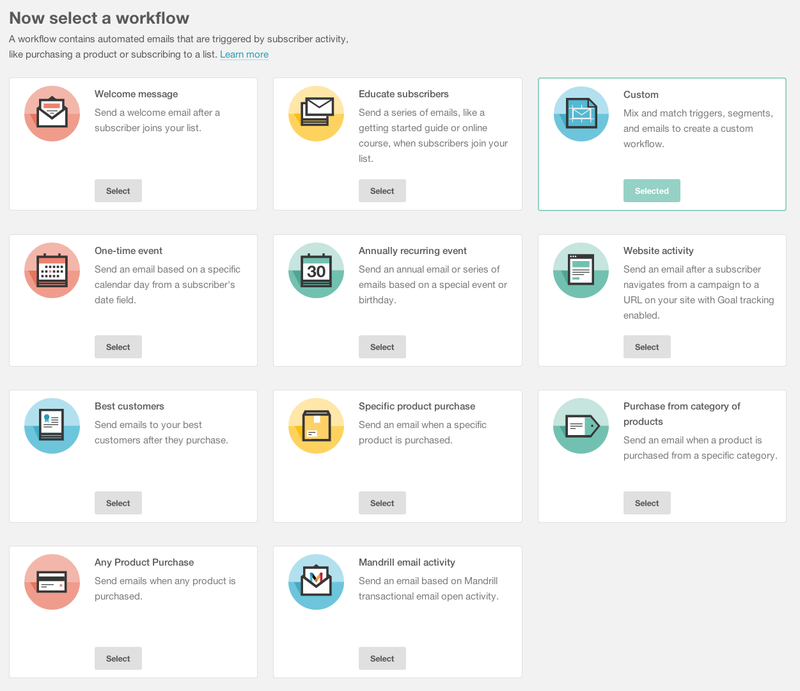 MailChimp has decent marketing automation features that will do 99% of what most users need, all without ever being too confusing or overly powerful. Integrations are available for just about every e-commerce platform available today, making MailChimp a good choice if you run a Shopify, WooCommerce or Magento e-commerce store and want a simple email marketing platform. MailChimp is an old email marketing platform and some of its newer features (such as marketing automation) feel like a new paint job on a dated product. Like ActiveCampaign, MailChimp doesn’t include any landing pages or a landing page builder, meaning you’ll need to use Instapage or Leadpages instead. MailChimp is a good, albeit slightly dated email marketing platform. It’s great for sending email broadcasts and creating autoresponders, but its marketing automation tools don’t quite match those on offer in ActiveCampaign and other purpose-built tools. ActiveCampaign is available in Lite form from just $17 per month, although this version doesn’t include all of the software’s features. With the Lite membership, you get unlimited emails, up to 1,000 contacts and all of the features except the CRM. The Lite plan is also limited to inline opt-in forms, meaning you can’t create modal popups or floating bar forms. This is major downside for bloggers aiming to generate email subscribers from their website content. The full version of ActiveCampaign starts from $49 per month. The final price depends on the size of your list — as usual, the larger the list, the more you’ll need to pay per month. MailChimp is available for free, although the free plan limits your list size to 2,000 subscribers and caps you at 12,000 emails per month. The free plan gives you access to most MailChimp features, making it a good way to try the software before you become a paying customer. Paid MailChimp plans are relatively cheap, starting from just $10 per month. The Pro Marketer plan, which includes enterprise-level features aimed at high-volume senders, starts from $199 and adds more power to MailChimp with features such as multivariate testing. ActiveCampaign has great support, with a variety of online guides and instructional videos for users. There’s also live chat support for paying customers. Finally, you can post simple questions in Facebook groups like Official ActiveCampaign or Automation Nation to get free help from other ActiveCampaign users. MailChimp has a vast online knowledge base with support articles, as well as free online support for paying users. On Facebook, you can ask most questions to the MailChimp Answers group and get quick answers from other MailChimp users. If you’re a serious marketer or part of the marketing department for a larger business, you’ll probably prefer ActiveCampaign. In fact, I’ll go ahead and say that 99% of businesses with more than five employees should choose ActiveCampaign instead of MailChimp. ActiveCampaign is a powerful marketing automation platform that’s perfect for B2B users, especially marketers at agencies and other service businesses. If you’re a solo entrepreneur with an e-commerce website, you might like MailChimp. It’s a reasonably good platform, although it definitely feels a little bit dated compared to the other email marketing automation tools available today. MailChimp is a less powerful, more affordable platform designed for smaller online business owners, especially people that run e-commerce businesses. What’s Your Go-To Email Marketing Software? Are you an email marketer? If so, what software is your go-to tool for creating, managing and analyzing your campaigns? Leave a comment with your favorite email marketing tool and I’ll add it to my “to review” list for a future comparison guide.